In TV show Beyond My Crisis with Ron & Vivian their guest, Jackie LueRaia, an organ donation advocate has come to share the facts and myths of organ donation. New York, NY, July 11: Nearly 115,000 people in the United States are waiting for an organ donation; many recipients would not survive to a normal life expectancy. Only 34,770 received a transplant in 2017. 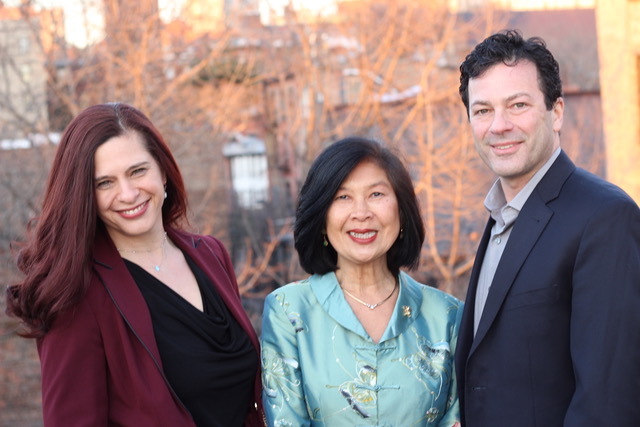 In this “Gift of Life” new episode of Beyond My Crisis with Ron & Vivian their guest, Jackie Lue Raia, an organ donation advocate whose experience is in donations after the death of individuals, will reveal her tragic story and why it is critical to register as an organ donor. Myths about organ donation are debunked while Jackie describes her tireless passion to promote the positive outcomes of organ donations. Nearly 20 people die everyday due to the lack of organ donations and Jackie describes how her efforts on CBS and other broadcast network TV stations are delivering the wisdom to save lives. She explains the importance of informing family and friends about the myths and misconceptions about organ donation and that no religion actually prohibits this life giving opportunity. It is critically important to let those close to you know your wishes, if there ever comes an opportunity for you to be an organ donor. One donor may save up to 8 lives, restore sight for 2 people and heal the lives of up to 75 people! "Registerme.org is now the nationwide registry for organ donation which takes seconds" explains Jackie. Watch this insightful episode of Beyond My Crisis with Ron & Vivian to learn and bring awareness to this modern crisis by educating, promoting compassion and stepping up to save lives by taking simple actions. She calls out for individuals to sign up on www.RegisterMe.org. “Beyond My Crisis with Ron & Vivian” is a TV show which brings real people and experts together to help our audience learn the best actions to resolve a crisis. Engaging and authentic conversations guest experts from around the world are facilitated by co-hosts, Ron Rossnick & Vivian Gaspar. Award nominees, Ron & Vivian make serious and heart-felt conversations palatable while educating viewers with solutions to live powerfully and passionately while navigating through a crisis.